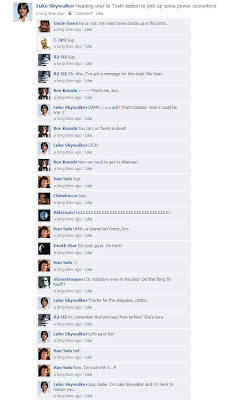 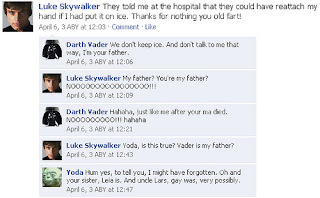 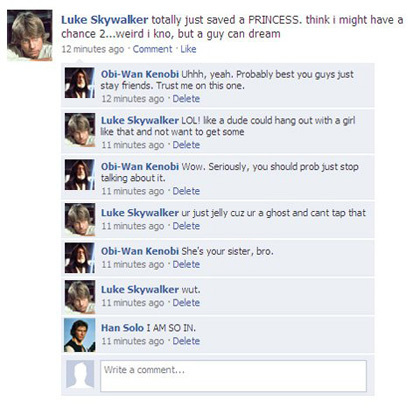 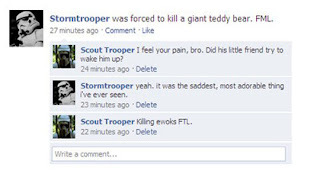 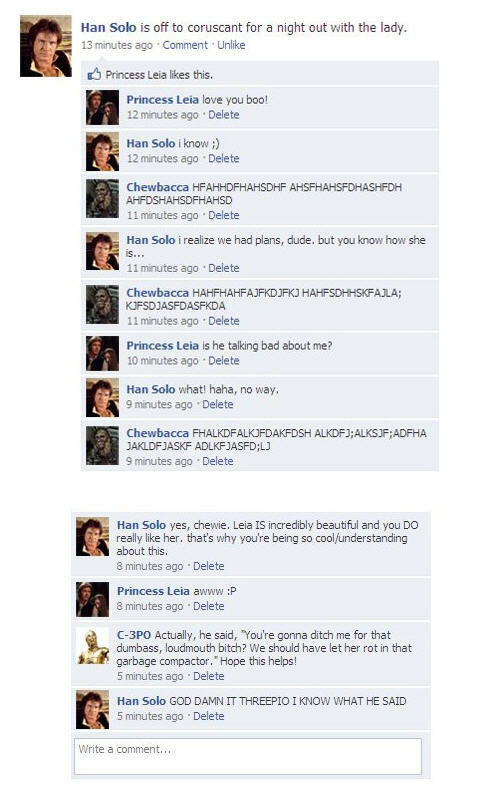 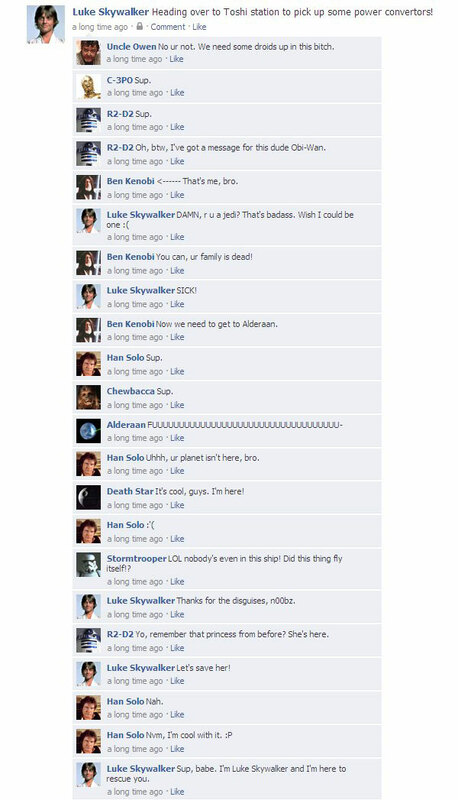 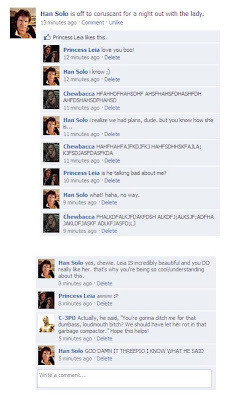 Star wars Facebook parody. Darth Vader. 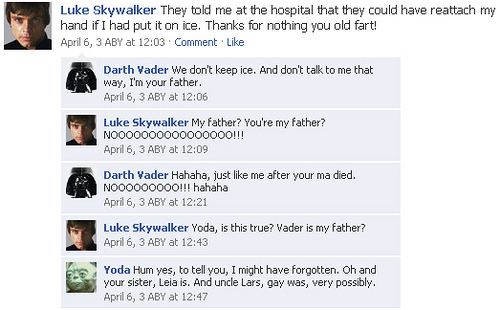 Yes, I know this is off topic...but who cares! 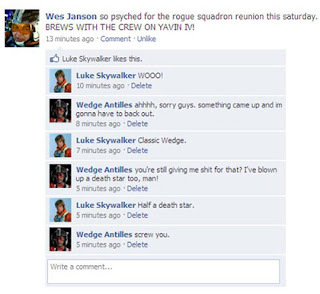 It's awesome. 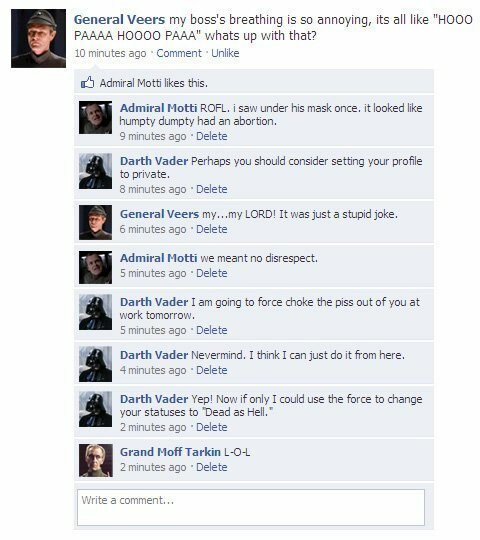 Tags:Star Wars, Star Wars Facebook, Star Wars Facebook Parody, starwars, starwars parody, starwars facebook, starwars facebook parody.